New software functions substantially increase the power and speed of Lantek’s flagship CAD/CAM system, optimizing it for work with all cutting and punching technologies. Lantek, world leader in the development and marketing of comprehensive CAD/CAM and ERP solutions for the sheet metal sector, has released the new version of its sheet metal and profile cutting and punching software, Lantek Expert 2011. Since its formation, Lantek has been committed to meeting the design and computer-aided manufacturing needs of metal processing companies by providing extremely powerful and flexible systems which will optimize manufacturing performance. In line with this commitment, the enhancements in Lantek Expert 2011 provide both operational and technical improvements. The enhancements offer state of the art technology, in a fully functional environment, which combines an ergonomic and flexible interface with comprehensive design and machining capabilities. Lantek Expert 2011 includes a host of new functionality and has been designed to integrate perfectly with all the other productivity solutions offered by the company. Sheet metal manufacturers can obtain significant operational advantage from implementing Lantek’s range of CAD/CAM/ERP systems which provide solutions for programming all types of CNC cutting machines, control of manufacturing processes, and the management of manufacturing, in a single integrated environment. A customized interface for users to quickly and easily create tailor-made menus and combine them with existing menus. Simultaneous view of the machining operations. 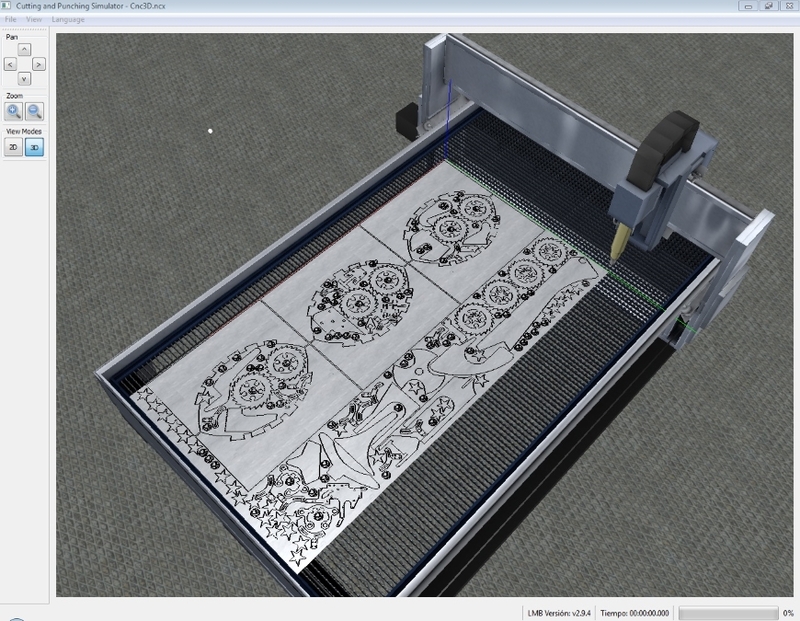 The new capability enables programmers to quickly go to any step in the machining process while viewing the cutting instruction and its graphic representation. This makes editing, deleting and viewing an extremely simple processes. Management of sets of parts. This allows parts to be grouped together in a kit making it easy to release sets of parts to production. Nesting data can be configured according to material and thickness, optimizing material utilization. View Geometry. Lantek has enhanced this function in the new version by including the ability to carry out calculations and by allowing geometrical elements to be graphically and interactively edited or deleted, greatly speeding up programming tasks. Automatic file saving of individual part geometry from a composite CAD file. This makes it easy to extract individual parts from a geometry file that contains several components. Extra information such as thickness and material can also be saved, completely defining the part to be produced. New parts list filter. This allows users to see only parts which have a production requirement, filtering out all the other components. New punch gallery. A much quicker and more intuitive tool selection. Instruction macros. This function can be used to create a macro for executing chains of instructions, allowing repetitive processes to be performed with just one mouse click. Other advances in Lantek Expert 2011 include new advanced machine configurations, which enable multiple cutting and punching technologies to be defined for each machine, eliminating duplicate machine definitions. The new software also allows the restriction of common line cutting to particular components, giving users more control over manufacturing methodology. Handling of offcut material is improved in the 2011 version. It now considers the machine technology including cutting and clamping zones and can determine the minimim size of an offcut according to its material and thickness. Furthermore, it also includes full turret management. Both graphics and document creation are enhanced in the new version. The part and its machining operations benefit from improvements in display and simulation. Different punch types can be viewed in different colors, as can forming tools and working areas, making it easier to see and understand the cutting process. Documents for shop floor use can now be printed from inside the CAM software and options for the information included have been increased, simplifying and facilitating programming and manufacture. Extra improvements which bring even more advantages to Lantek users include: bringing together drilling, threading and countersinking into one simple operation, and the implemetation of common line cutting on combination machines. Lantek aims to provide the most advanced technology to its customers and the improvements it has included in Lantek Expert 2011 will offer them significant productivity gains, keeping them ahead of their competitors. Lantek is a leading multi-national company in the development and marketing of comprehensive CAD/CAM and ERP solutions for the sheet metal and fabrication sector. 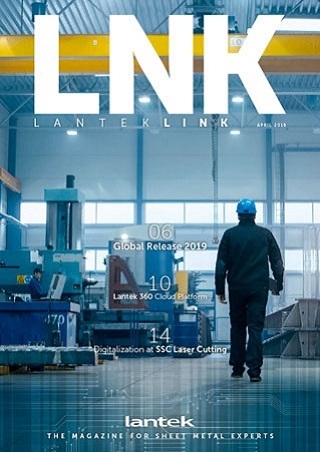 Innovation capacity and a firm faith in internationalization have enabled Lantek, founded in 1986 in the Basque Country, to become a world reference with its Lantek Expert sheet metal cutting and punching solutions. Today, the company has over 11,000 customers in over 100 countries. Lantek offices are in Spain (Vitoria-Gasteiz), the USA, Germany, Argentina, Brazil, Italy, the UK, China, South Korea, France, Japan, India, Poland, Mexico, Turkey and the Czech Republic with a network of distributors worldwide. In 2010, 84% of its income derived from its business abroad.